President Donald Trump resumed his relentless attack on special counsel Robert Mueller Wednesday, accusing prosecutors of pressuring key witnesses to lie following developments that could land Paul Manafort in jail for the rest of his life. Trump, who has repeatedly called the Mueller Russia probe a ‘witch hunt’ and attacked the special counsel as ‘conflicted,’ on Twitter alleged prosecutorial misconduct but without saying against whom or providing evidence. 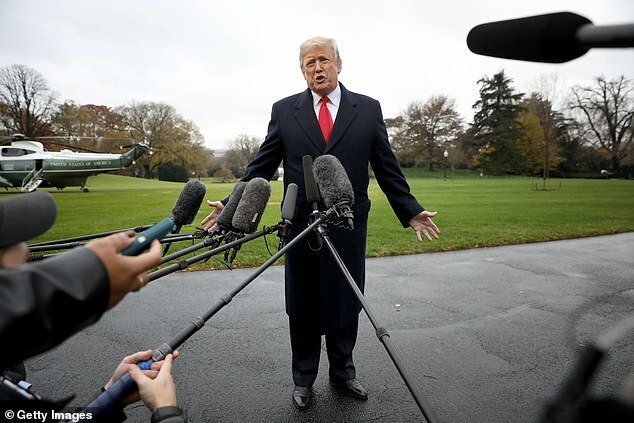 ‘This is our Joseph McCarthy Era!’ Trump charged, invoking the Wisconsin senator known for his leveling charges of communist infiltration without providing evidence. Trump’s outburst at prosecutors came amid new twists in the Mueller probe – including prosecutors claiming in a court filing that Trump’s former campaign chair Paul Manafort committed ‘lies’ contrary to a plea agreement even as he remains confined in a Virginia jail. If a judge agrees with prosecutors and finds him in breach of his cooperation agreement, he could be looking at an extended prison sentence or face additional charges. 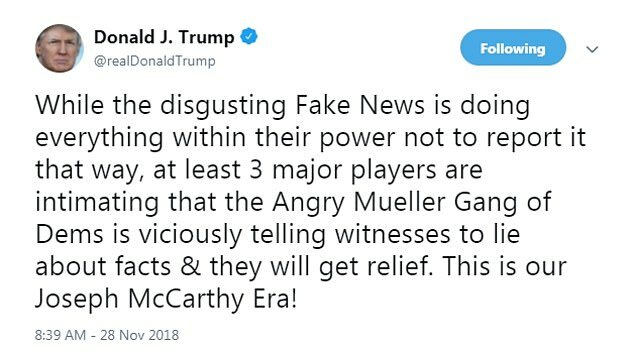 Although the president didn’t specify which three people he was referring to, one likely figure is conspiracy theorist Jerome Corsi, who gave media interviews Tuesday blasting Mueller’s investigators. 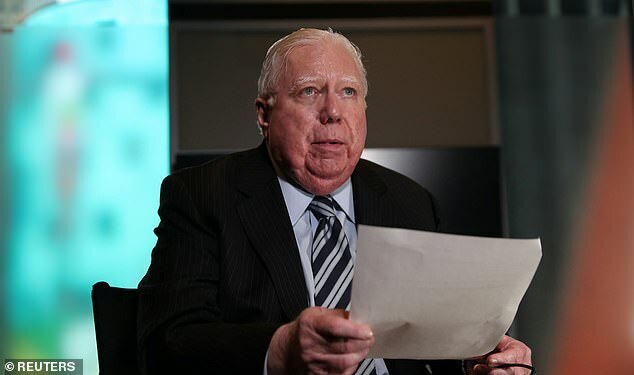 Corsi says prosecutors want him to agree to a plea deal and admit to perjury, but he told NBC he would ”rather sit in prison and rot’ than admit to a lie he says he didn’t commit. The network obtained a document laying out some of the information prosecutors had obtained, including emails from Stone and Corsi. 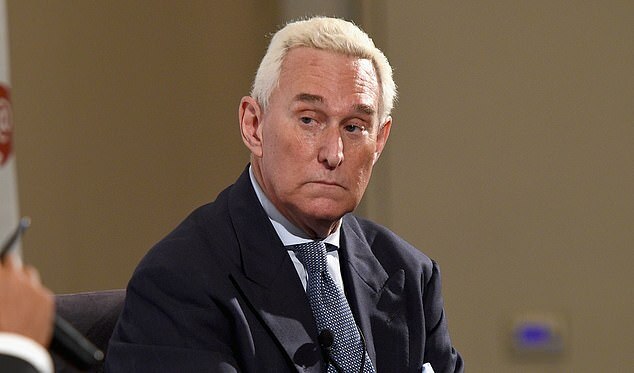 In one email on July 25, 2016, Roger Stone told Corsi – a former Washington bureau chief at InfoWars – to ‘get to [Assange] at Ecuadorian embassy in London’. WikiLeaks released thousands of Democratic emails during the 2016, dramatically upending the race. The third figure Trump may have been referring to is his former campaign chair Paul Manafort, whose lawyers have been passing information to Team Trump – drawing charges that he may be clamming up in hopes of securing a presidential pardon. Trump ‘should understand that even dangling a pardon in front of a witness like Manafort is dangerously close to obstruction of justice and would just fortify a claim or a charge of obstruction of justice against the President,’ incoming House Judiciary chair Jerold Nadler told CNN Tuesday. Meanwhile, attorneys representing Manafort kept the President’s team briefed on what he told the Mueller probe, it has emerged. 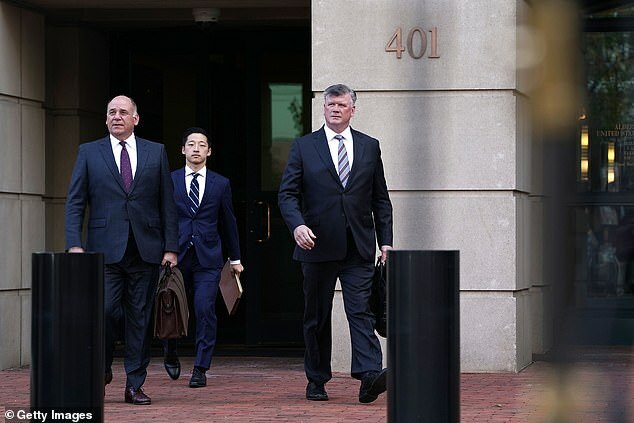 Manafort’s lawyers have ‘repeatedly’ reported back to the President’s team for the last two months, the New York Times has revealed. Rudolph W. Giuliani, one of the president’s personal lawyers, confirmed the conversations had taken place but defended them as a valuable insight into the Mueller inquiry on Tuesday. 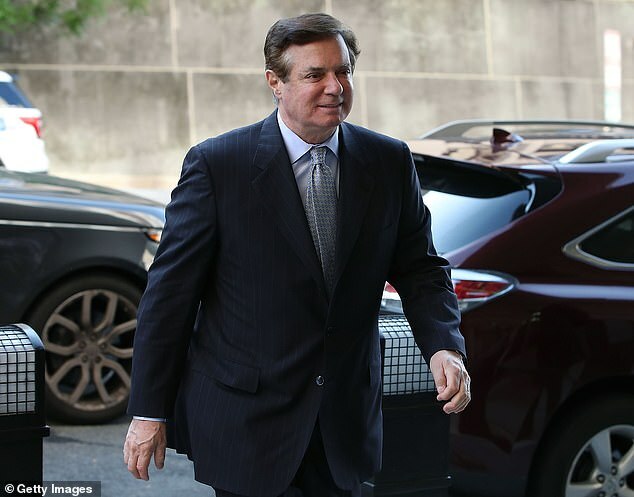 Legal experts believe the conversations may have been staged as an apparent bid from Manafort, 69, to obtain a presidential pardon or have any potential sentence reduced. And earlier this month he posted: ‘The inner workings of the Mueller investigation are a total mess. Manafort is facing up to 10 years in prison for two conspiracy charges and eight counts of financial fraud. But despite little being known about the conversations between his lawyer, Kevin Downing, and special counsel Mueller’s team, it appears Manafort has not implicated the President in any wrongdoing. Giuliani said Manafort’s lawyer Kevin M. Downing said prosecutors grilled Manafort over whether the president knew about the June 2016 meeting between his eldest son, Donald Trump Jr. and Russian officials, in which they promised to give up compromising information about Hillary Clinton. ‘He wants Manafort to incriminate Trump,’ Giuliani said of Mueller. Manafort released a statement on Tuesday, hours afterThe Guardian published a story alleging that the two met at least three times, including once in 2016 around the time he was hired by the president. ‘This story is totally false and deliberately libelous. I have never met Julian Assange or anyone connected to him,’ Manafort said through a spokesman. The news outlet claimed Manafort allegedly visited Assange at the Ecuadorian embassy in London, where he has been holed up since 2012, on three occasions in 2013, 2015 and 2016, citing anonymous sources.